Small clip lock with room for few small swaps and trackables. Pymoor is a village in Cambridgeshire in the vicinity of Ely and in the parish of Little Downham. There are approximately 390 residents according to the 2011 census, although that figure probably includes the nearby settlements of Oxlode and Hundred Foot Bank. At the base of the village sign is a plaque, which reads: "This sign was erected by public subscription unveiled May 28th 1980. 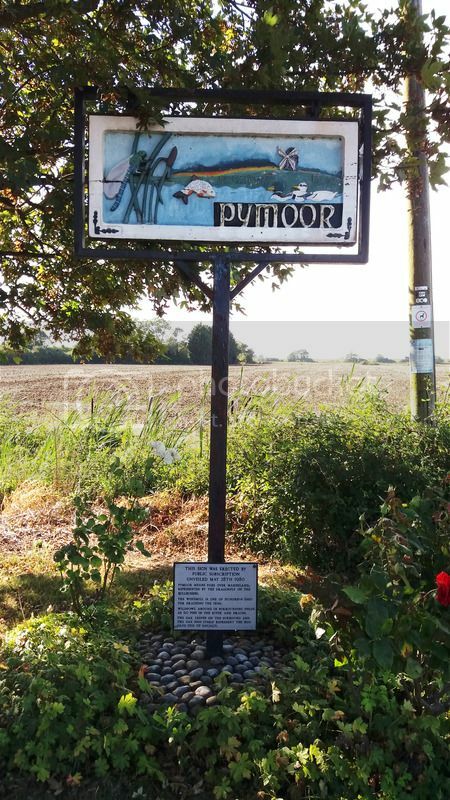 Pymoor means flies over marshland, represented by the dragonfly on the bullrushes. The windmill is one of hundreds used for draining the fens. Wildfowl abound in surrounding fields as do fish in the river and drains. The oak leaves on the surround and the oak sign itself represent the bog oaks dug up locally"